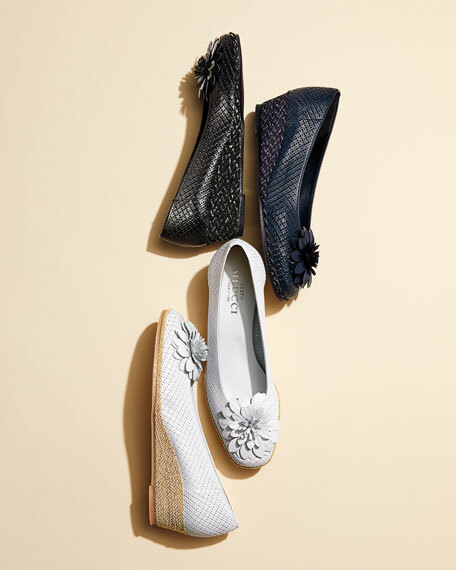 Sesto Meucci laser-cut napa leather espadrille pump. 1.8" metallic braided-jute wedge heel. 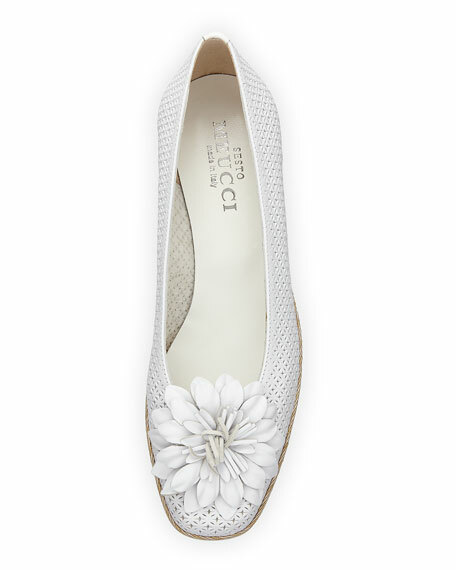 Square toe with flower motif. "Mae" is made in Italy. For in-store inquiries, use sku #2175170.